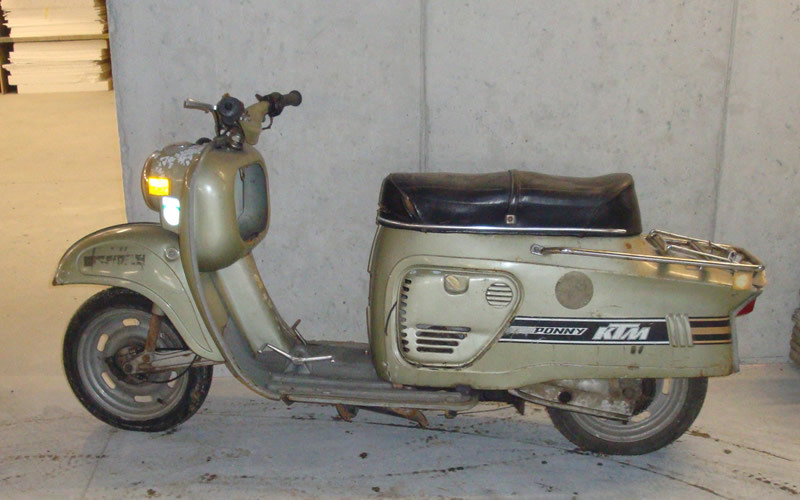 Kudos to Yasin, who Identified the mystery scooter above as a KTM Ponny. A Ponny II to be exact. KTM, or KTM Sportmotorcycle to give them their full name, is a long established (founded in 1934) motorcycle, scooter and bicycle manufacturer from Austria. If you haven’t heard of KTM in relation to scooters, it’s probably because your more familiar with their modern off road bikes and racing sponsorship… you may recognise their livery of orange, black and silver. 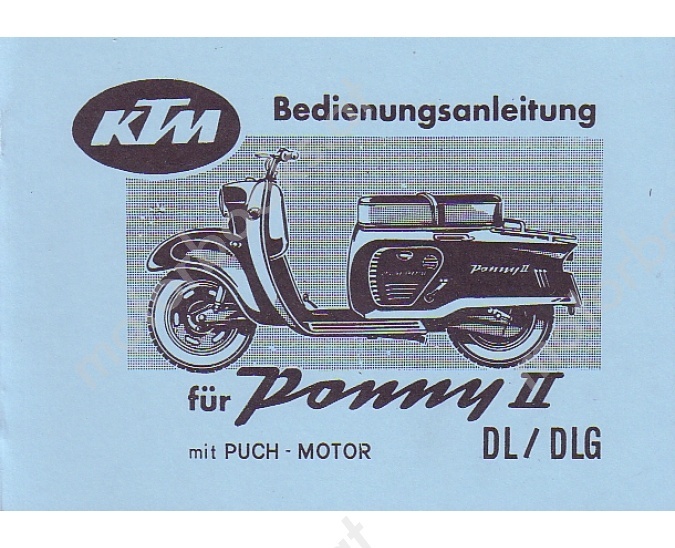 The Ponny II dates back to 1962, and is, in my humble opinion a good, solid looking scoot. 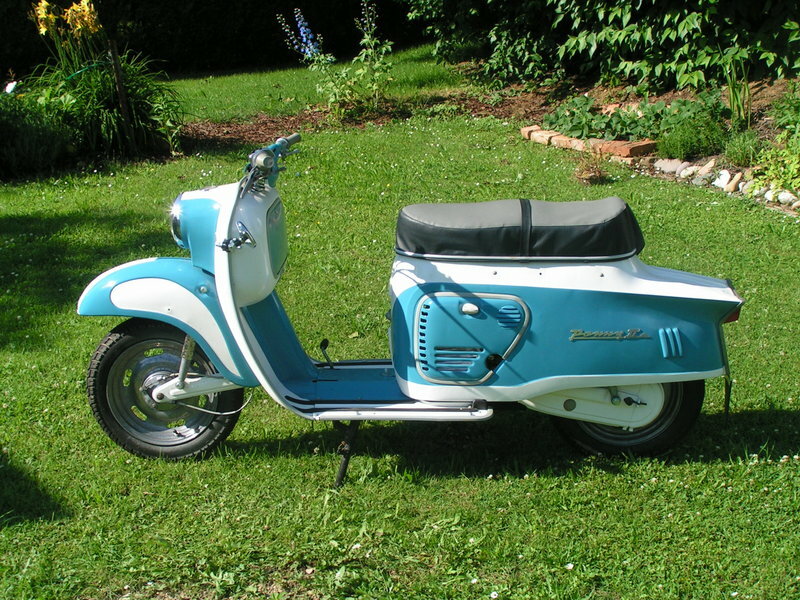 While it may not be as pretty as a Lambretta, (or even aV*spa), it certainly holds it’s own against other scooters of the day. 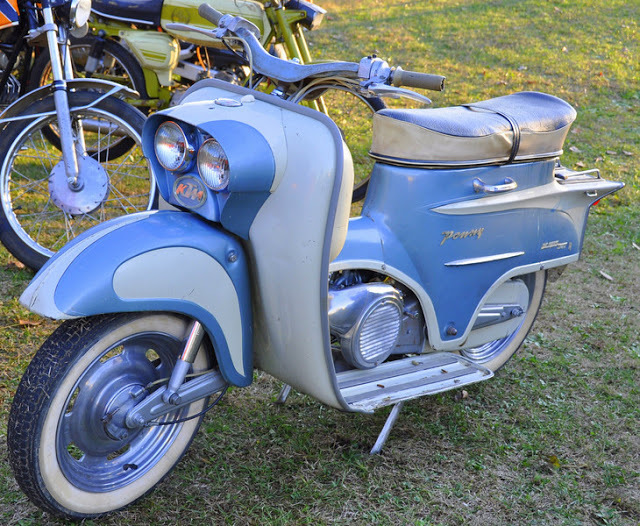 The Ponny II, superseded the original 1960 Ponny scooter (funny that), itself a good looker. In fact, it’s a shame they didn’t keep the twin headlights… that’s a good look! 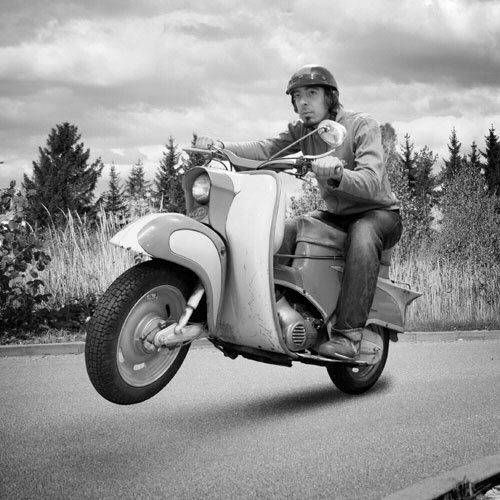 KTM carried on making retro looking scooters right into the late 70’s, and while they are pretty much unheard of in the UK (to my knowledge anyway), they have built a cult following in mainland Europe. As you’ll see, the 1979 KTM Hercules pictured below is virtually identical to the 1962 Ponny, with the obvious addition of (rather ugly) indicators. Big, solidly built machines, I don’t know what the performance was like, but I can’t imagine it was blistering with a 50cc engine. I’m not sure if they made a bigger capacity, but it would suit the bike. 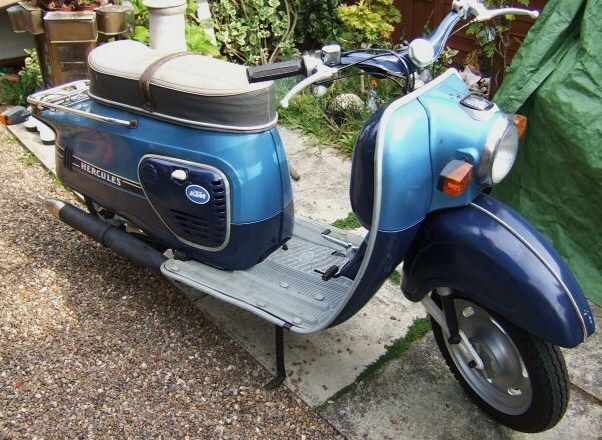 A quick search of eBay yielded no complete Ponnies or Hercules’s… but a few parts. But it’s one I’ll watch out for in future. This is not my first KTM post, by the way… regular readers may remember my post about the radically styled KTM Electric Scooter… straight from the future of scootering. Check it out here. If this post has piqued your interest of the KTM marque, you can find out more, below. 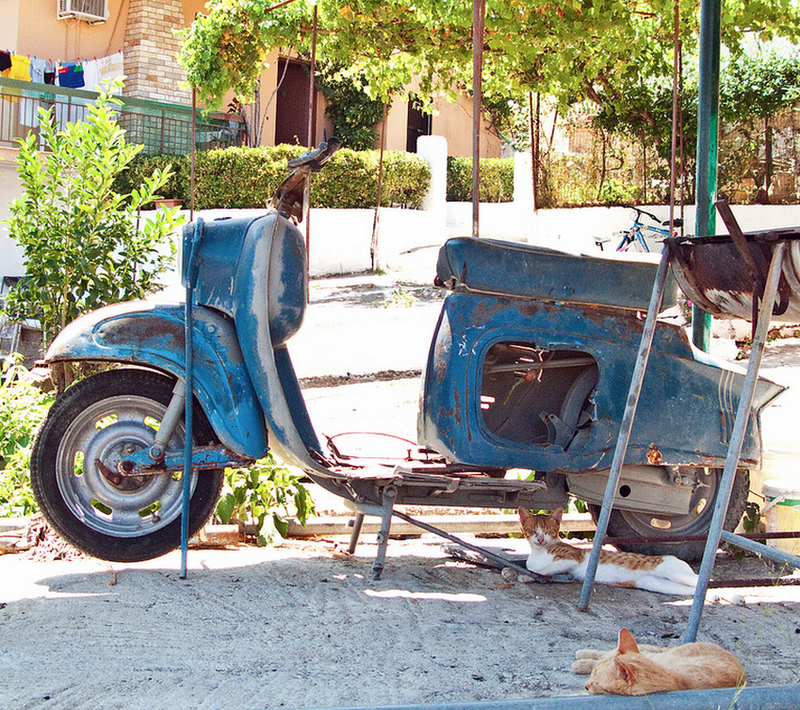 This entry was posted in Not a Lambretta, Scooters and tagged Austria, Hercules, KTM, oddball, Ponny by crocodilejock. Bookmark the permalink.